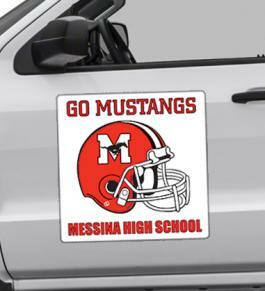 A 12 x 12 square corner custom magnetic full color car and truck signs can be sought by advertisers who wish to address a big mass of audience during special seasons or otherwise. 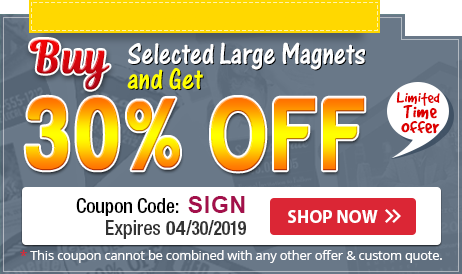 The size and shape of this magnetic sticker makes it apt for all types of advertising. No one can just miss the charm of this magnet winking at them from the car or truck doors announcing the naming of delicious “Mamas Chips in the City Corner” or some banners screeching “ 50% reduction sale” and etc.